Our drivers are the true face of Windstar Lines, and we know that the driver can make… or break an entire experience. Through our hiring process, we look for drivers who will not only possess excellent driving skills, but who will know how to provide superior customer service. 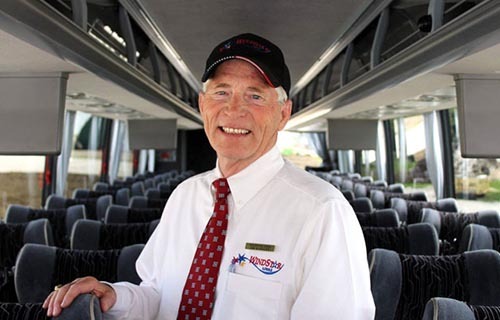 Our drivers must know far more than the technical aspects of safely driving a motorcoach; they must excel at relating to people, how to anticipate the needs of a group, and how to manage the multifaceted tasks of their position. We like to think that when it comes to the team that commands our fleet, we’ve got one of the best around! One of our favorite customer feedback forms had this response to the question “Would you recommend Windstar Lines to someone else? Why?”: “YES! I trust them.” We think that statement speaks volumes. *The application process takes 40 - 60 minutes. It will save your progress.